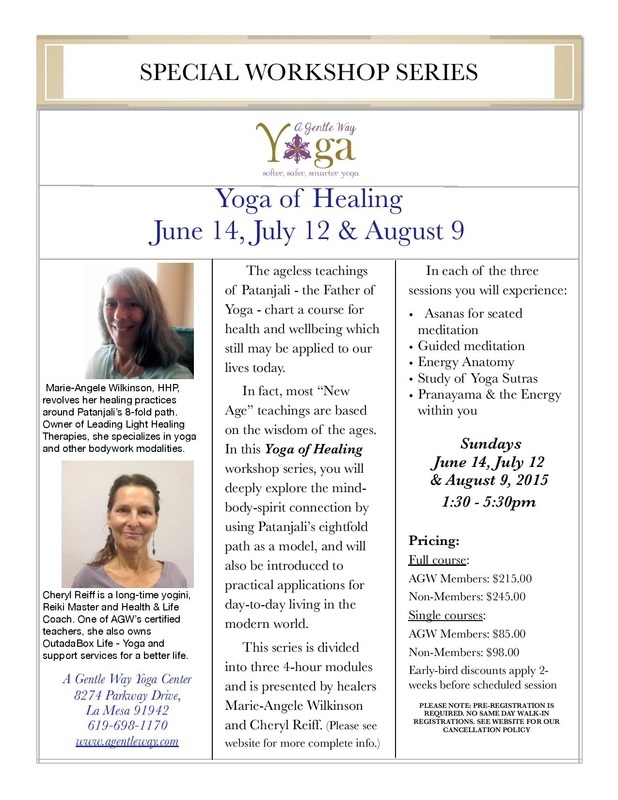 My dear friend, Marie-Angele Wilkinson and I will be presenting the following workshop series over Summer 2015, at A Gentle Way Yoga and Joyful Movement Center in La Mesa, CA. Sign up at www.agentleway.com. Marie-Angele is owner and healer at Leading Light Therapies in San Diego, CA.